We are authorized dealers for trike conversions from Motor Trike, Trike Shop Road Smith, California Sidecar, Champion Trikes, Hannigan and DFT. 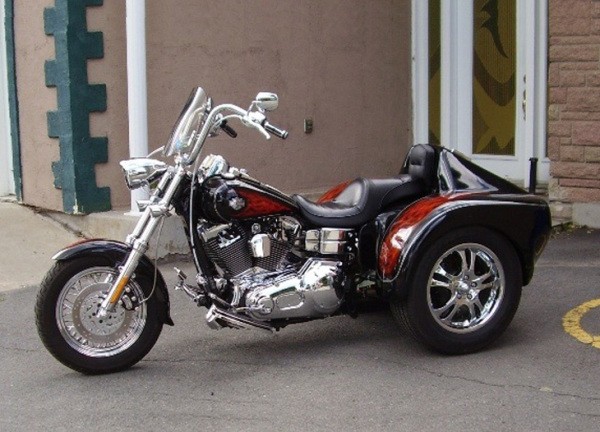 Let us trike your motorcycle or we trike a brand new motorcycle to your specifications. If your bike is not listed, please contact us.. We'll do our best to get you triked! Our dealership is located between Philadelphia, Pennsylvania and Atlantic City, New Jersey in Southern New Jersey. We are conveniently located with easy Interstate access from Maryland, Virginia, Delaware, Pennsylvania, New York and Connecticut. You can extend your motorcycle riding years with a conversion kit installed by specialists who live and breath cycles! 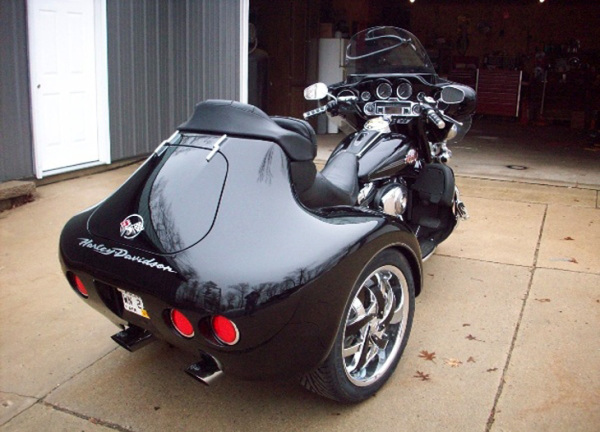 "This is my second trike from Ace Motorworks, this one a 2014 Gold Wing 1800, with a Motortrike conversion. Talk about a head turner! best riding Trike I ever had, best looking trike I've seen to date, anywhere! Dealing with Jeff, as usual, couldn't be more pleasant. Axle and John were just great, really good Tech's, did some modifications for me while I waited, and it was pretty late in the day. Jeff took the time to point out all of the differences with this from my last trike, and he's just so accommodating and knowledgeable, I never gave it a thought to have anyone else build my new ride! Thanks, Jeff!" "Since you triked my Goldwing , my wife and I went on a trip to South Dakota ,Montana and Colorado and it was a blast !! 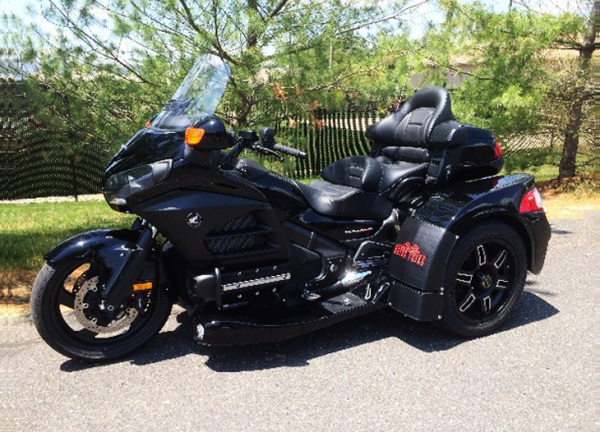 We have taken many trips with our goldwings in the past , but with our new trike I must say it was our best and most comfortable ride we ever had.The 5200 mile trip was a great ride and I am sure we will top this trip soon. Great trike and great people at Ace.Best wishes to all. 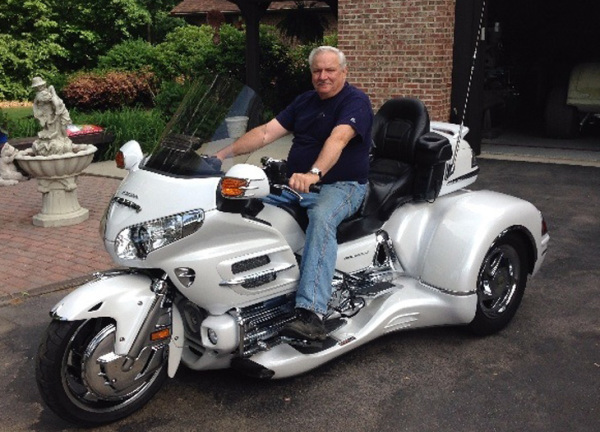 Randy from PA."
"I just took delivery of my Roadmaster HSC1500 conversion on my '98 Valkyrie Tourer. From start to finish, the folks at ACE were fabulous. I live in Texas, and my bike was in NJ, so Jeff arranged to pick it up for me. I made all the arrangements long distance, as I was unable to go to NJ. I trusted them all the way, even with sending large checks to some guys in NJ that I hadn't met... On arrival, my bike looked fantastic! Excellent work/craftmanship. They were in contact with me by phone throughout the process. I am very pleased with the outcome, and wouldn't hesitate to recommend to anyone to use ACE for their trike conversion! " 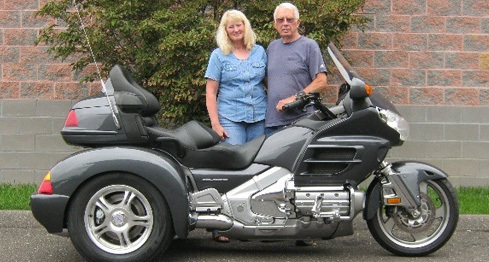 "I triked out my V-Star 1100 and I have been head over heels for that trike since the minute it was done and delivered. I have done nothing but smile for the last week. The Tri-wing package is beautiful - a real head-turner. My friends at my local bike shop were very impressed at the thoughtful touches in the worksmanship. It is as mechanically sound and rider friendly as it is pretty to look at. I am looking forward to many happy miles - and smiles - triking around the USA. I highly recommend Ace, and can't say enough good things about Jeff Miller and Diane Schaible. Thank you to all my friends at Ace Motorworks for an amazing job. " "Ace personal approach to me as a customer was the driving force that made me make a decision to have my Lehman conversion done by their trained techinian and mechanics. When I received my 2003 HD with the renegade conversion I was not surprised at all. I knew that they would do an excellent job and they really did. The two tone paintings done on the trike was superb. The trike was awesome. Kudos to Jeff Miller and his staff for a excellent job. I wear the ace shirts with pride when I ride my trike. 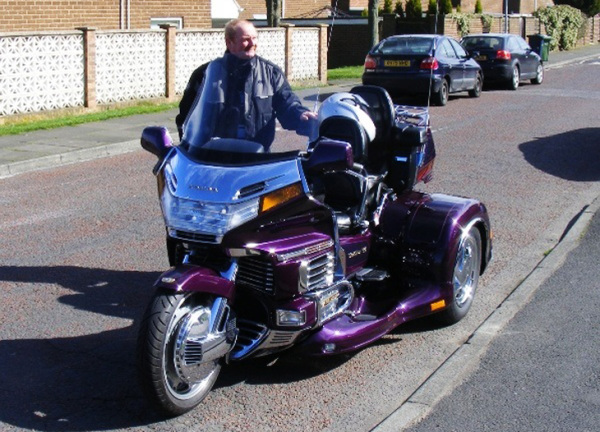 Anyone thinking of converting their bikes to a trike you cannot go wrong having it done by Ace. " "I would like to state it has been a long time since I have done business where the company your interested in working with understands customer service. The team at Ace Motorwork's were top notch and a pleasure to work with thru the whole process from identifying the kit, selecting options and thru the build. Jeff, Georginna and Axel all made it a pleasure. Also CSC and the technology that they offer and the kit they produced is top notch and I have received many compliments of my new Trike. Thank You Guys!" "Without a doubt one of the best investments in my bike riding future. With the last few years being health challenging I can ride with reassurance. My wife God bless her. Always has my well being in mind. 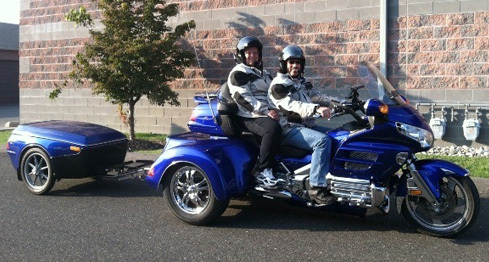 So when we talked about having our Kawasaki Voyager converted to a trike. She was on board with having it done. The cost is not cheap. But when its all said and done you only get what you pay for! The quality and workmanship done by Jeff and the crew is just soooooo good! I have been riding bikes since I was 12 years old and now in these elder years I'm back to 3 wheeling. Some day when I make it home to those heavenly gates, I don't see myself returning to 2 wheels. I may just stay, "A KID ON MY TRIKE"! 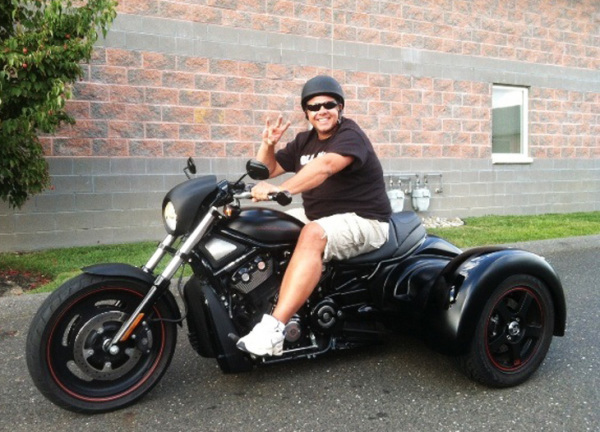 Thank You ACE Trike for making one more dream come true while I am on this side of heavens gates!"